FastPokeMap is the Pokemon tracking service which tracks Pokemon around your area and it works perfectly. You need to give it a try today and as we all know that Niantic is shutting down all other services which work like Pokemon tracker. They have a valid reason for doing so and if you have used PokeVision and Poke Advisor before, they have been shut down now and they are accessible with a lot of difficulties. 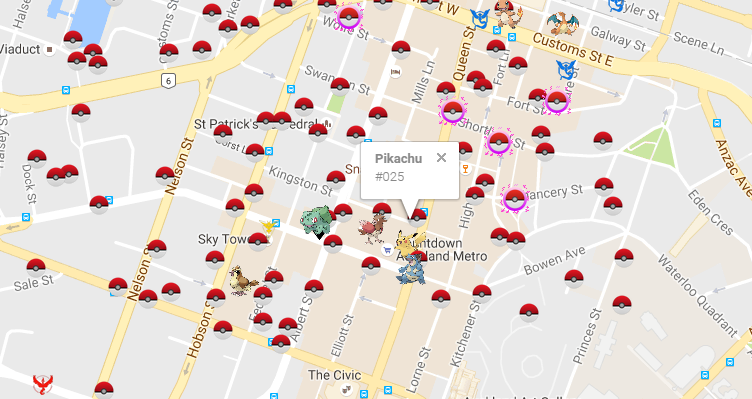 So, to help Pokemon game players, FastPokeMap comes to a rescue to find all Pokemon near your area. Give it a try and I will let you know more about it. Also, Read: Pokemon Go Download, PokeVision App Download, Pokemon Go Not logging in. To start using FastPokeMap all you need is to access FastPokeMap website. When you visit the website, it asks permission to enable the location. When it detects the location, it starts showing the Pokemon nearby. It has a lot more features when compared to other Pokemon tracking services. Rather than showing the Pokemon near your location, it also shows the duration of the Pokemon. 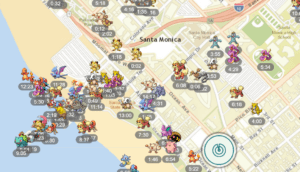 FastPokeMap works like a master in finding and showing Pokemon nearby and you need to use it for sure. FastPokeMap has the location scanner, which on clicking scans the Pokemon near your area and shows available at that time. It also shows the duration till which Pokemon will be available so that you can catch them within time. FastPokeMap Pokemon tracker is different from other Pokemon trackers as it shows Pokemon which can be caught in the walkable distance, whereas other Pokemon trackers show a bunch of Pokemon even the distance is more. You can even type the location and it shows Pokemon in that location. Related Apps: PokeRadar Apk Download, PokeDetector Apk and Xposed PokeMon Download. FastPokeMap Pokemon tracker is different from other Pokemon trackers as it shows Pokemon which can be caught in the walkable distance, whereas other Pokemon trackers show a bunch of Pokemon even the distance is more. You can even type the location and it shows Pokemon in that location. Don’t miss out on checking best alternatives for fast poke map. FastpokeMap is now back and working fine for me. Earlier this month, the developers behind the FastPokeMap map tracker for Pokemon Go announced that it would come back online by Friday the 14th or Saturday the 15th. That deadline came and went, but last night, after weeks of anticipation, the site’s Twitter account confirmed FastPokeMap was back. This is probably a stupid question but I need to ask. So when I go to http://www.fastpokemap.se do I hit the wrong button? How do I scan for Pokemon near me? What is the trianegle on the bottom right-hand corner of the map do? What are the basics on how to use this map?